$66 Wilhelm Schweizer German Zinnfiguren Pewter. "Birthday Cake Girl" "Girl with Birthday Cake" "Cake Girl" Size: 3-1/2" tall The unparalleled Wilhelm Schweizer of Bayern hand painted pewter! 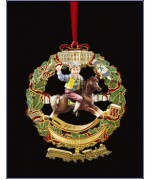 Known as Zinn in Germany, these pewter ornaments, whether standing or hanging pewter, are truly heirlooms in the making. 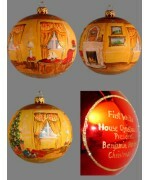 Hand made and hand painted by the talented artisans of Sch..
$164 Size: 12" X 9" tall. 31 x 23 cm tall. Attention all your Harley guys, or for that matter, wives of Harley guys, or for that matter, Harley gals! Wouldn't this realistic 3D scene be the perfect gift for the motorcycle lover in your life? Bet he or she has nothing like it! 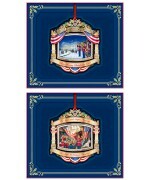 Traditional 3D wooden carved shadow box creations by artisan family Dieter Dorsch of..
$580.00 Size: 18" tall Limited Edition Series of 3000 Pieces Exclusive to The Christmas Sleigh This wonderful piece is new for 2014! The latest edition to the Equestrian Series; this incredible nutcracker is a collaboration created by our very own Dieter Rausch and Karla Steinbach of Christian Steinbach of Germany. Handcrafted and filled with fantastic detail - this Grandfath..
$350 Size: 9"/23 cm tall Hubrig invites you on a journey through a colorful, colorful realm of "wooden little things"! 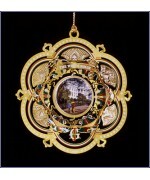 These are miniatures with attention to detail developed, turned with skillful hands of local wood and painted with a fine brush. A spectacularly detailed music box by Hubrig of Germany. 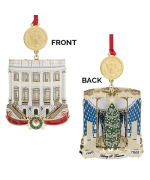 Delightful miniature wooden figurines create a charm..
2019 White House Historical Association Annual Christmas Ornament Dwight D Eisenhower Size: 4..
2018 White House Historical Association Annual Christmas Ornament Harry S Truman Size: (i..
NEW 2017 White House Historical Assocation Annual Christmas Ornament FDR - Franklin D. Roosevelt..
$26.00 Size: 2" W x 4" H 2016 White House Christmas ornament was chosen to honor the administr..
$26.00 Size: 2" W x 4" H The 2015 White House Christmas ornament honors the administration of..
$26 Size: 3.25" long The 2014 White House Christmas ornament honors the administration of War..
$24 The 2013 White House Christmas Ornament The 2013 White House Christmas ornament hono..
$24 The 2012 White House Christmas Ornament honors President William Howard Taft who introdu.. 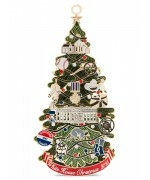 Size: 3" x 2-1/2" tall The 2011 White House Ornament celebrates the term of our..
We are pleased to bring you one of our personal favorites, the White House Historical Society's.. 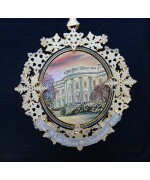 In 1894 President Grove Cleveland and his wife celebrated Christmas, as reported in newspapers with ..
$26.00 The 2008 White House Christmas Ornament honors the administration of President Benjamin Ha.. 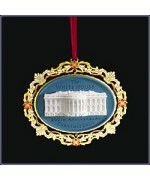 The 2007 White House Christmas ornament honors the first administration of President Grove.. 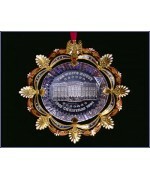 The 2006 White House Christmas ornament honors the administration of the 21st President of the&.. 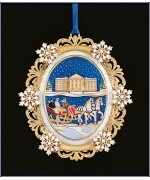 The 2005 White House ornament honors the 20th President of the United States James A. Garfield .. 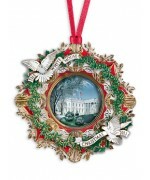 The 2004 White House Christmas ornament honors President Rutherford B. Hayes (1877-1881) and re.. 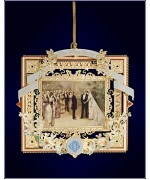 The 2003 White House Christmas Ornament honors President Ulysses S. Grant and his family. Inspire.. 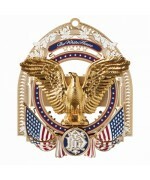 The crystal-like, acrylic core of the 2002 ornament recalls the sparkling Bohemian glass of the.. 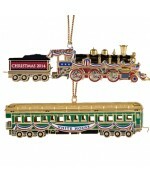 The 2001 commemorative Christmas ornament features a three-dimensional replica of a carriage of.. 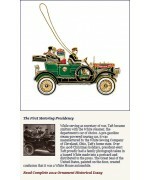 This special edition memento is made from stone from the same Aquia quarry used to construct th.. 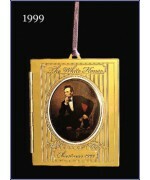 The 1999 ornament commemorates the presidency of Abraham Lincoln, our 16th president. 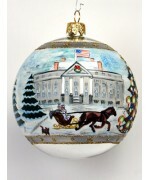 It fea..
$74.00 "THE PRESIDENT'S HOUSE" ORNAMENT Large mouth blown and hand painted White House Or..
$74.00 Third in the series, this Limited Edition White House historical ornament depicts the Fir..
Ah, a Presidential Christmas! 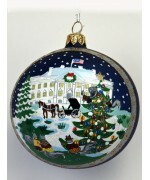 Christmas in the Lincoln White House. 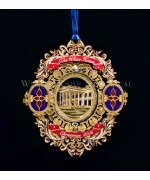 This ornament, designed ..
2018 White House Historical Association Annual Christmas Ornament Harry S Truman Size: (including seal charm) 2 1/8" x 3 1/4" tall The White House Historical Association’s 2018 White House Christmas Ornament honors Harry S. Truman, the thirty-third president of the United States. 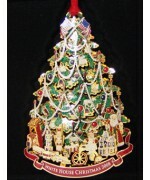 This ornament is designed to illustrate three significant changes made by President Truman during his a..
$346.00 Size: 12" x 9" x 12" A whimsical pyramid perfect for the Summer season! 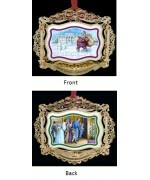 This wonderful creation depicts some "love birds" having a sweet wedding ceremony. A perfect twist on the traditional Christmas pyramid. Made in Germany ..
$350 Size: 10.25"/26 cm tall Hubrig invites you on a journey through a colorful, colorful realm of "wooden little things"! 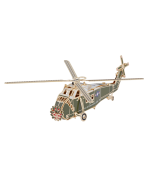 These are miniatures with attention to detail developed, turned with skillful hands of local wood and painted with a fine brush. 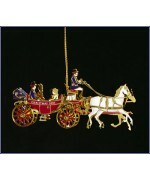 A spectacularly detailed music box by Hubrig of Germany. Delightful miniature wooden figurines create..
$980 NEW Size: 26.5 cm tall 11" tall This charming springtime music box is sure to set to bring a smile to your face! 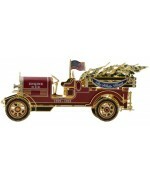 This collectible, high quality piece features the signature style and look of Wendt and Kuhn with a 36 tone Swiss music box. Up top you'll see sweet children partaking in spring activities and the handpainted base features a delightful traditional pattern. ..